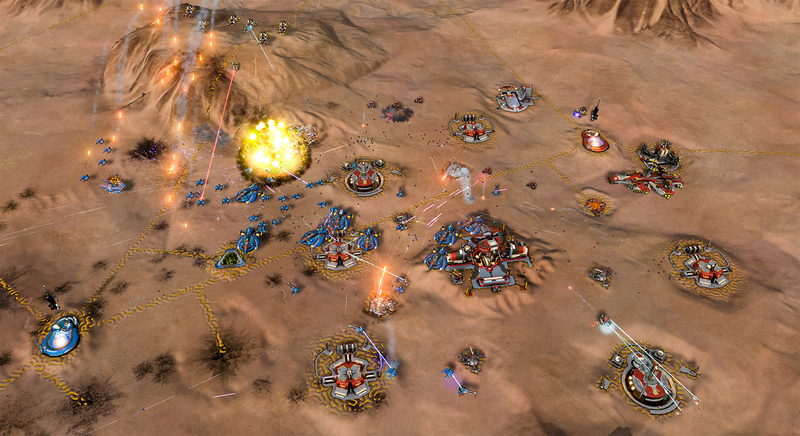 Developed by Oxide Games and Stardock Entertainment. 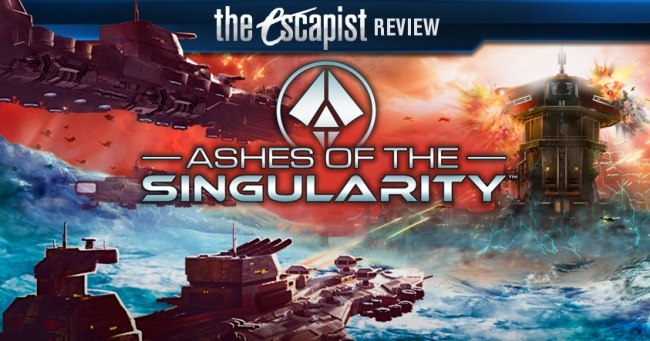 Published by Stardock Entertainment. Released March 31, 2016. Available on PC. Review copy provided by publisher. I've never been one to be particularly focused on graphics in games. I grew up in a time when 8-bit graphics were cutting edge. I played Warcraft back when it was still just Warcraft, and I played the original release of Godzilla on the NES, which I'll go ahead and say was far superior to the latest release. While I'll occasionally find myself in awe of things like Nathan Drake's hair in Uncharted 4 looking far more realistic than my own, actual hair, I'm not usually one to even include graphics in my judgment of a game. 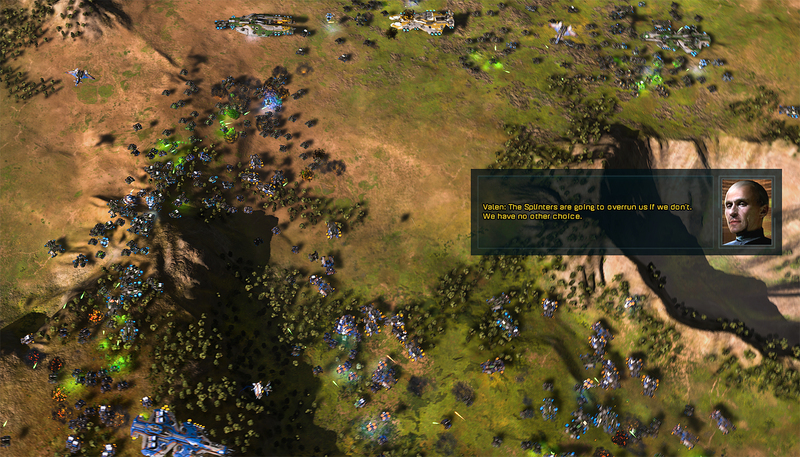 Sometimes, though, it's more than just aesthetics, and really is a game changer, as with Ashes of the Singularity and the Oxide Engine that supports it. 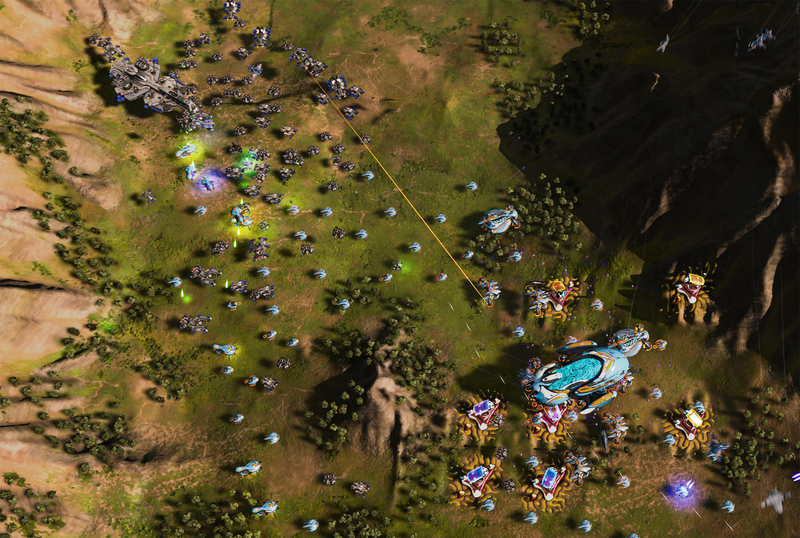 Ashes is a sci-fi RTS, akin to the ever-popular StarCraft series, though it's a fairly big departure from the genre's standard formula in some gameplay elements, and is a bit simpler a core experience for it. That said, despite the relative simplicity, the scale of the battles is such a spectacle that I never found myself wondering about the missing features. 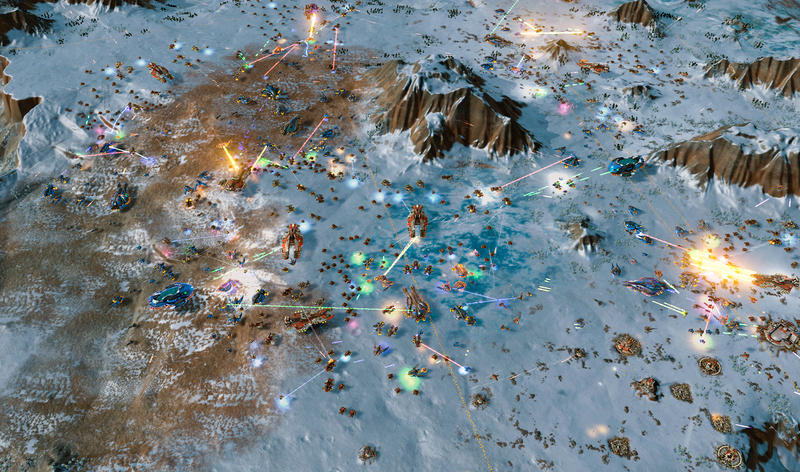 The key to the spectacle being, of course, Oxide Engine's ability to render dozens, hundreds, even thousands of units simultaneously. Many even have multiple guns targeting independently, and I'm fairly certain even some of the projectiles are actually objects in the world, rather than just an animation on top of it. And it will probably run just fine on your mid-tier PC. 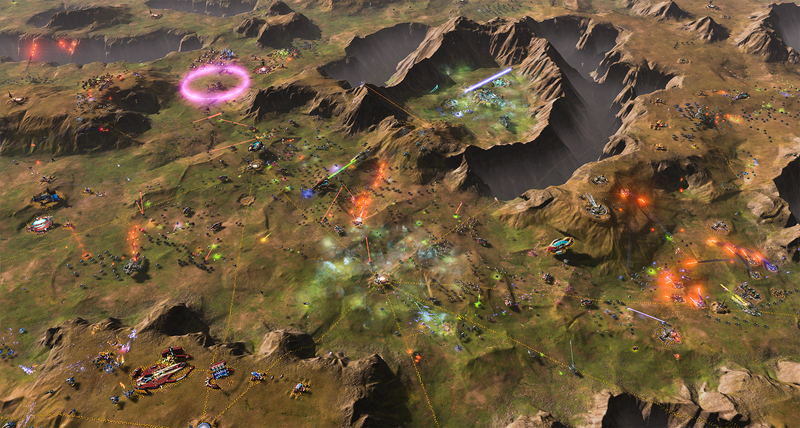 Ashes of the Singularity uses a supply line expansion approach, where the map has a number of resource nodes scattered around, and you have to expand along the node connections, ensuring your supply line is never cut, or you'll lose your resource income from the detached nodes. It's not an entirely new concept, but it's a bit different from the standard approach of independent bases. Expanding fast lets you ramp production quickly with your bolstered income, but if you can't defend your nodes, the enemy can easily swoop in and shut you down. 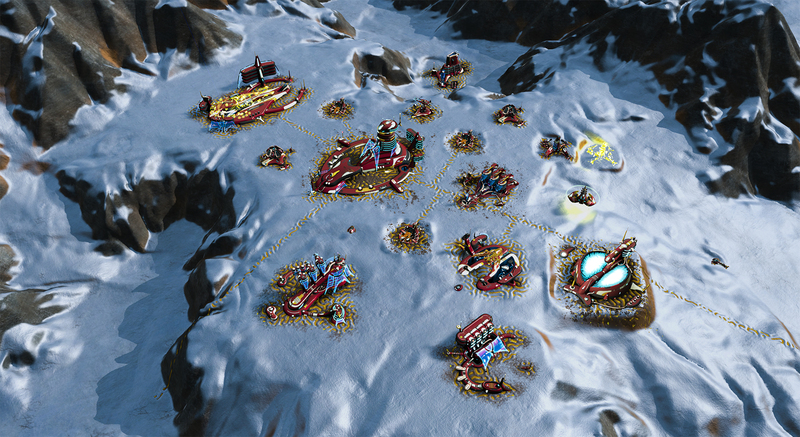 Alternately, you can turtle up a bit more, and rely on defensive structures to overcome your opponent's resource advantage. 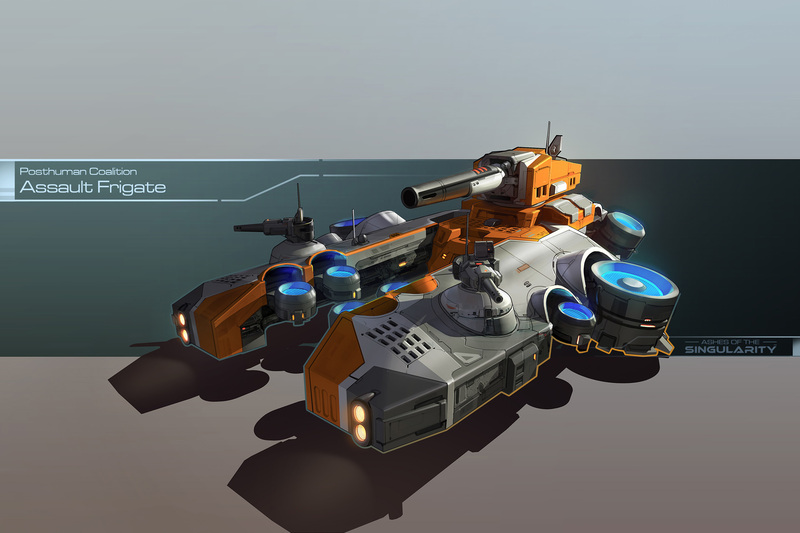 Your combat units consist of drone ships of varying sizes, from tiny Brute units akin to StarCraft's Marine to huge dreadnought-size ships capable of creating and supporting a huge army. Of course that process hasn't always been as easy as it is in Ashes. 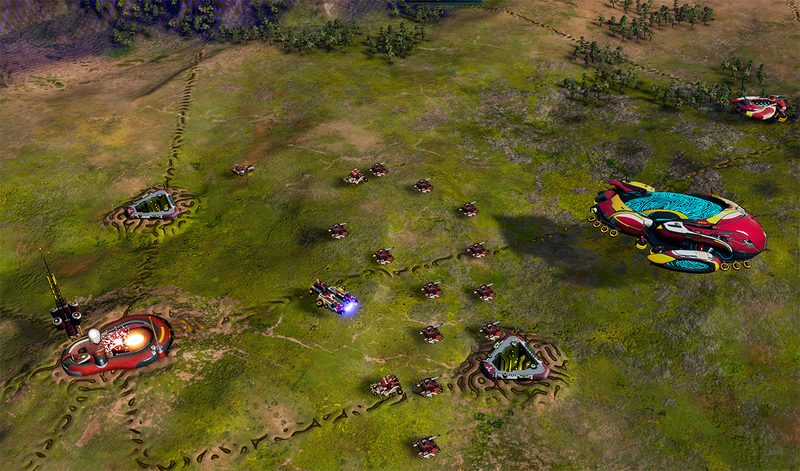 Instead of finding your factory and building units, then sending them to join your army, the game's army group system lets you add units to an army directly, which automatically cues the production at the nearest facility. I spent far more time than I ever realized on getting armies assembled, which is one step from automated in Ashes, freeing up more time for strategizing. 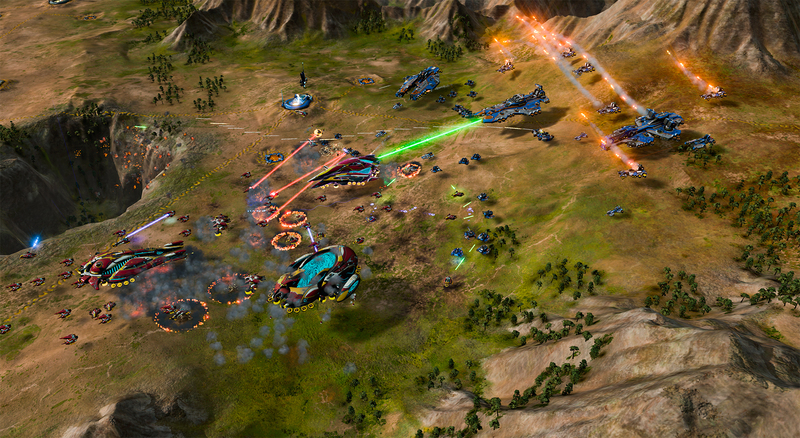 AotS is the first title on this engine, and, like most 1st gen tech products, it's not perfect. 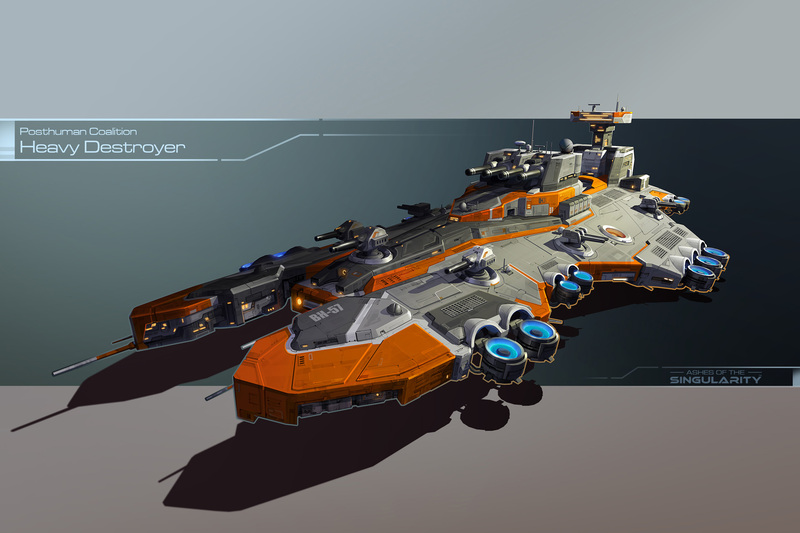 There aren't super units per se, though the largest of the capital ships certainly could pass for one, and we're missing the standard faction distinctions, but as a proof of concept, Ashes does what it sets out to do. 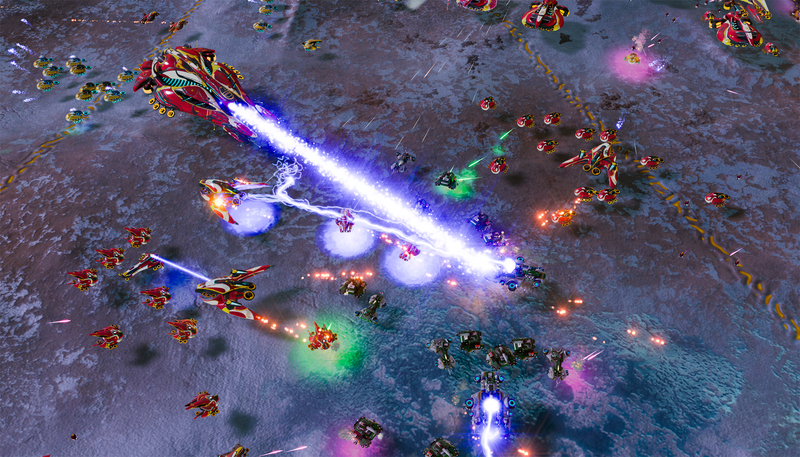 Bottom Line: Ashes of the Singularity has limited depth in some aspects, but as an RTS experience, and particularly as a first showing for its Oxide Engine foundation, it is absolutely stellar. 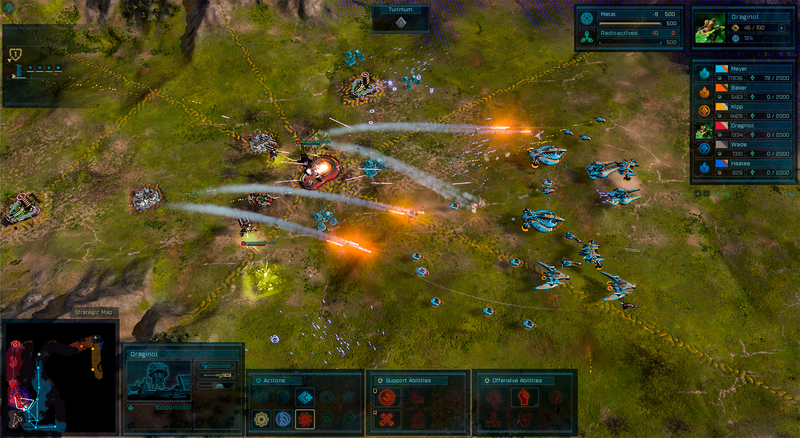 Recommendation: If you're looking for an RTS with all the accoutrements, you may find Ashes a bit bare, but if you want to see skirmishes that could be mistaken for wars in themselves, go build a million units, then sit back and enjoy the fireworks.